Posted: Sunday, September 24, 2017. 4:36 pm CST. 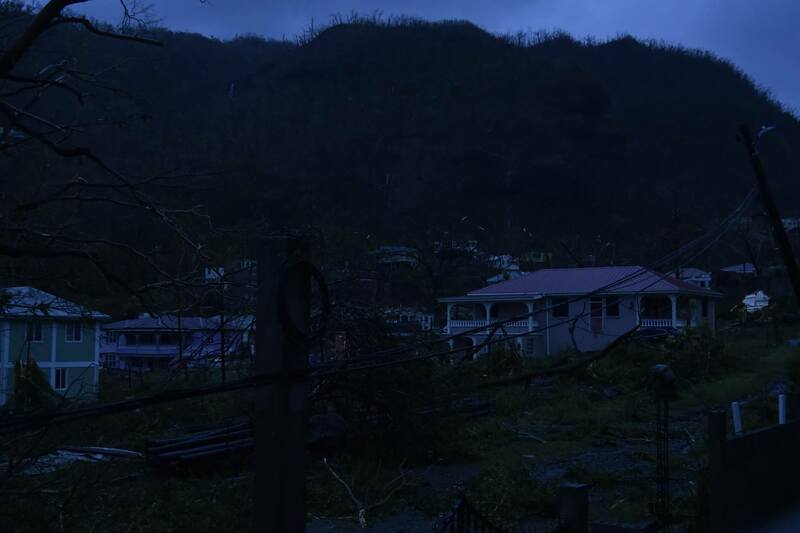 By BBN Staff: Hurricane Maria, the second major storm to hit the Caribbean in one month, has left 15 people dead and more than 20 missing since the Category 5 storm made landfall last Monday night. During the storm, even the country’s Prime Minister, Roosevelt Skerrit, needed to be rescued as the strong winds blew off his roof at his residence. “Dominica is going to need all the help the world has to offer,” he told reporters.”We have to join forces to do what we can, to mobilise support to the family and friends back in Dominica. It is going to require the support of every single one of us, individuals, countries, institutions, organisations,” he further added. Although the storm has already passed, all is not well in Dominica.Its airports and seaports are badly destroyed and completely closed and so it is next to impossible to get any intensive rescue or aid personnel into the country. Furthermore, the main general hospital was devastated, and so patient care has been compromised. Many other buildings which served as shelters also had their roofs blown away. The Government of Belize (GoB) last week announced that it would join relief efforts for Dominica. “The Government encourages all Belizeans who are able to offer some form of assistance to the Government and people of Dominica to do so by supporting local relief initiatives being undertaken by reliable agencies, businesses or organizations,” said GoB in a statement last Tuesday.